In this blog, we will discuss what is new in Visual Studio 2019 version 16.0.0 Preview 2.1, setting up the environment and prerequisite etc. 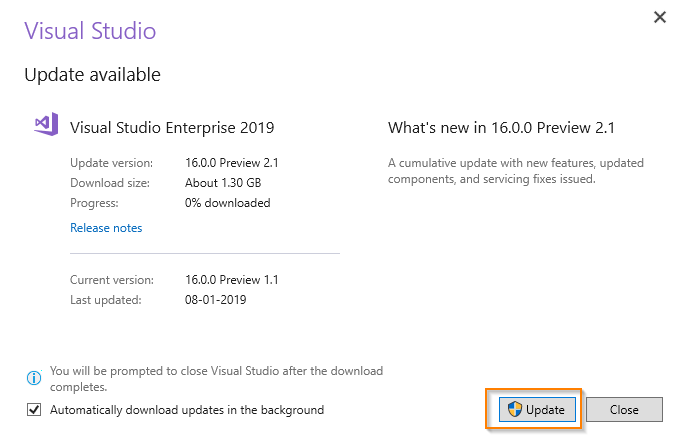 Microsoft released the new release of Visual Studio 2019 version 16.0.0 Preview 2.1 on January 31, 2019, and fixed issues. 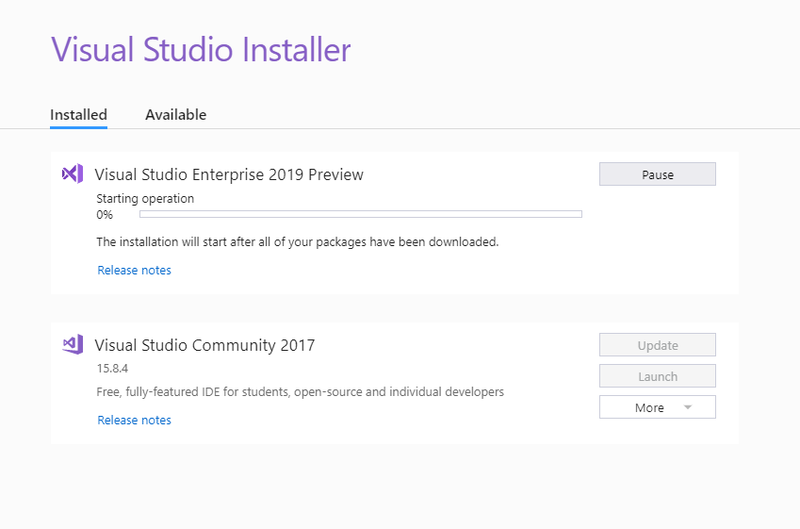 What is new in Visual Studio 2019 version 16.0.0 Preview 2.1? · We have fixed a crash that occurs while trying to rename a tag within a razor block in a .cshtml file. You can also see all existing known issues and available workarounds in Visual Studio 2019 here. 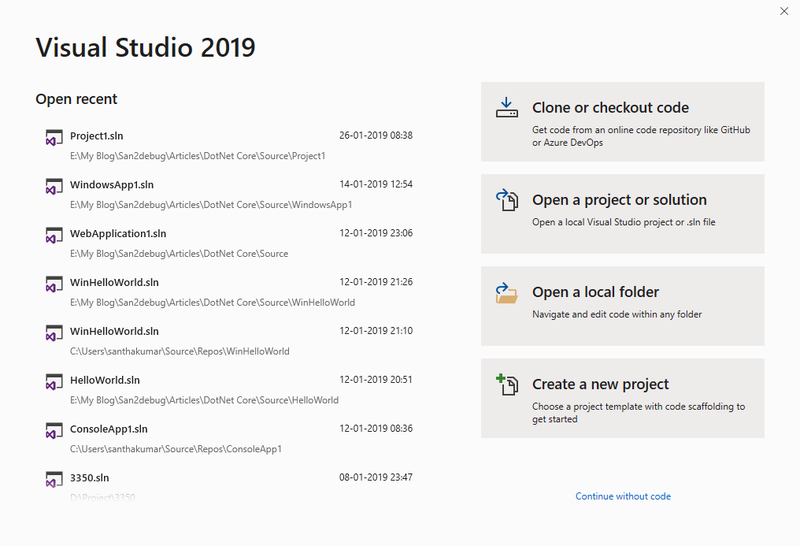 Open Visual Studio 2019. You can see the one notification alert from notification, then click the Notification flag. 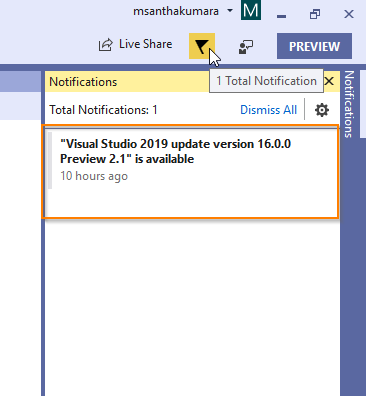 Now you can see the “Visual Studio 2019 update version 16.0.0 Preview 2.1” is an available message from Notification Explorer. Once you have clicked the “Visual Studio 2019 update version 16.0.0 Preview 2.1” is an available message from Notification Explorer. The Visual Studio Update window will open and then click the Update button. 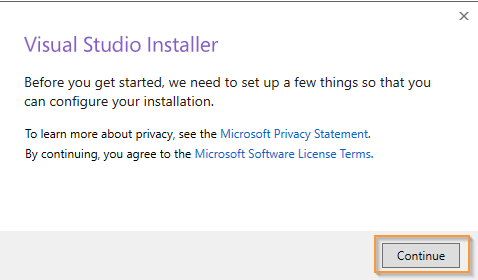 The Visual Studio Installer window will open and started to downloading as well as installing at the same time as shown below screenshot. 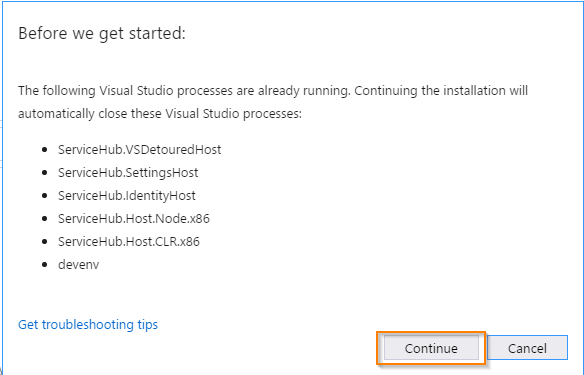 I hope you understand now about an update of Visual Studio 2019 version 16.0.0 Preview 2.1, setting up the environment and prerequisite. I have covered all the required things. If you find anything missing, please let me know. Please share your valuable feedback or comments and suggestion to improve the future posts.